Skepta announced his new 'No Fear' US tour. 19. 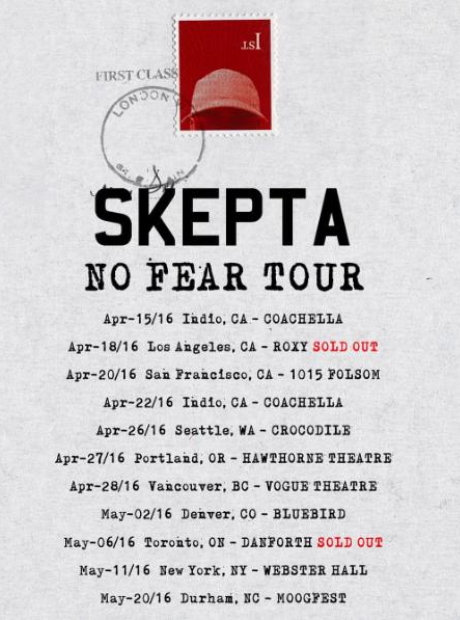 Skepta announced his new 'No Fear' US tour.